Now it's not often I write a negative review as I do like to be positive, but I also feel that it's just as important to warn you of the not so wonderful products as well as raving about the good ones. I was really excited to buy this product after hearing lots of good things about it and also similar types of products. I couldn't wait to use it and when I first applied it I did think 'wow'. I only had to use a tiny bit in my hair and when I rubbed it in it went invisible whilst giving me tonnes of volume. So you're probably wondering why I really don't like it right? This stuff makes your hair feel absolutely horrible. Where I had applied this in my roots felt dry, stiff and hard whilst also kind of sticky/tacky. Very hard to explain, but basically the worst my hair has ever felt. It was virtually impossible to put my fingers through my hair and a nightmare to brush out. If I had then wanted to tie my hair back or put half of it up, I would not have been able to pull it in any other direction. For the amount of volume it gave me, I would have been able to look past this and dealt with not being able to move my hair until I washed it the next day. If only the effects actually lasted for at least half the night. 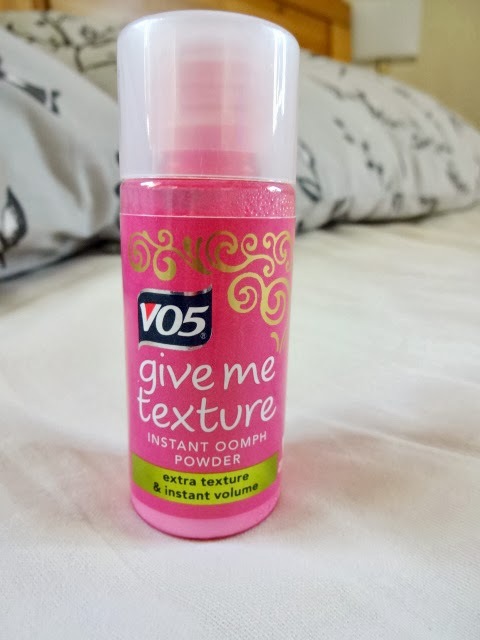 I used this for a night out clubbing, I'd curled my hair and wanted some volume in the roots. I always do my hair after my make up, so somewhere between finishing my hair and getting dressed ready to leave, all that volume completely went missing. It lasted about ten minutes, even with a bit of backcombing and my favourite hair spray. I had turned my hair into what felt like candy floss gone hard, for no reason what so ever. So on I went with my night out with flat hair that felt gross. I feel like all those good things I'd heard about this had been based on first impressions, as mine were actually very good. However, once tested properly this product is a complete regret. The silver lining being that it isn't an expensive product, phew! So, sorry for a negative review and a bit of a rant but it really is a terrible product and I felt the need to keep you away from spending your money on it this pay day! Money that could be better spend on those big bags of mini eggs that have recently hit the shelves for Easter. Mmmmm.